Research shows that lifting weights can improve your overall health and make you a happier individual, as well as help you tone your body. Weightlifting was once thought as a form of exercise performed only by bodybuilders to build large muscles. Now, many athletes and amateur health fanatics, whether male or female, lift weights. Recent research shows that lifting weights can improve your overall health and make you a happier individual, as well as help you tone your body. 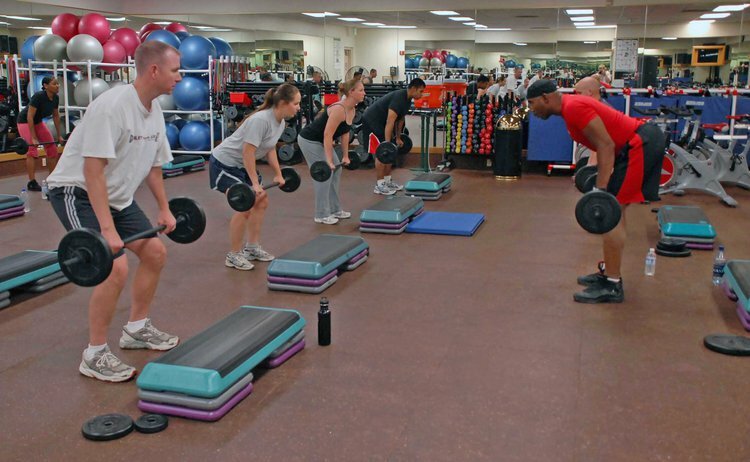 Those who are looking for ways to burn fat should lift weights. Researchers from the Boston University School of Medicine used a mouse model to suggest that heavy weightlifting may be as important as aerobic exercise. They demonstrated this by finding that an increase in type II muscle mass (used in weightlifting) can reduce body fat resulting in reduced overall body mass and improved metabolic parameters like insulin resistance. This can decrease the risk for type 2 diabetes. The World Health Organization (WHO) estimates that approximately 350 million people have diabetes worldwide. The consequence of diabetes is the reduced ability to effectively control blood sugar levels. Published in Nature Medicine, researchers found that weight training boosts the growth of white muscle fibers, which helps decrease blood glucose levels. Another study published in The Archives of Internal Medicine revealed that men who lifted weights for 150 minutes per week have a 34% lesser chance of getting diabetes. In addition, the study found that men who regularly lifted weights had a 59% lower risk for heart disease. Researchers at the Appalachian State University investigated the effects of a 45-minute session of moderate-intensity strength training on arteries and blood flow. They found that the participants experienced a 20% decrease in blood pressure. The reduced blood flow effects lasted about 30 minutes after each training session and continued for as long as 24 hours in people who frequently trained. Weight training to strengthen your stabilizing muscles can help you improve your balance. According to the Centers for Disease Control and Prevention, falls are the leading cause of injury-related death in adults over 65 years old. Thus, you are never too old to start. As you age, you become more aware of ways to increase your mobility and strength. Your bones lose their mass and become more brittle. Just as your muscles adjust to the stress of heavy weightlifting by becoming bigger and stronger, your bones also change by getting thicker and denser. Lastly, weight lifting exercises can help improve your mind. A study published in The Primary Care Companion to the Journal of Clinical Psychiatry found that anaerobic exercise, like weightlifting, has similar anti-depressive effects as aerobic exercise. Collier, S. R., Kanaley, J. A., Carhart Jr, R., Frechette, V., Tobin, M. M., Bennett, N., ... & Fernhall, B. (2009). Cardiac autonomic function and baroreflex changes following 4 weeks of resistance versus aerobic training in individuals with pre‐hypertension. Acta physiologica, 195(3), 339-348. Grøntved, A., Rimm, E. B., Willett, W. C., Andersen, L. B., & Hu, F. B. (2012). A prospective study of weight training and risk of type 2 diabetes mellitus in men.Archives of internal medicine, 172(17), 1306-1312. Layne, J. E., & Nelson, M. E. (1999). The effects of progressive resistance training on bone density: a review. Medicine and science in sports and exercise,31(1), 25-30. Lickert, H., Takeuchi, J. K., von Both, I., Walls, J. R., McAuliffe, F., Adamson, S. L., ... & Bruneau, B. G. (2004). Baf60c is essential for function of BAF chromatin remodelling complexes in heart development. Nature, 432(7013), 107-112. Izumiya, Y., Hopkins, T., Morris, C., Sato, K., Zeng, L., Viereck, J., ... & Walsh, K. (2008). Fast/Glycolytic muscle fiber growth reduces fat mass and improves metabolic parameters in obese mice. Cell metabolism, 7(2), 159-172. Hedrick, A., & Wada, H. (2008). Weightlifting movements: do the benefits outweigh the risks?. Strength & Conditioning Journal, 30(6), 26-35. Holmberg, P. M. (2013). Weightlifting to improve volleyball performance. Strength & Conditioning Journal, 35(2), 79-88. Lavallee, M. E., & Mansfield, L. A. (2013). Weightlifting Training Gives Lifelong Benefits. ACSM's Health & Fitness Journal, 17(2), 34-36. Burke, D. T., Bell, R., Al-Adawi, S., Alexandroni, A., Dorvlo, A., & Burke, D. P. (2014). Rate of injury and subjective benefits of gravitational wellness weightlifting. Open access journal of sports medicine, 5, 215.